Green Pearl agency provides services which span the full cycle of a boats registration under the Slovenian flag. Send us an email using the contact form below and we will send you an informative offer. We are the only yacht crewing agent, dealing mostly with slovenian crewmembers. Every member that wishes to apply to work with us, needs to go through a detail screening of experience and personality. Since we are a Slovenia based agency, we make all the interviews in person. We want to be 100% sure, that the people we employ – actually reflect well also when they start the job. We are able to organize the bunkering services for your boat. The fuel for yachts is high quality and duty free – and the delivery can be organized on the anchorage and also alongside. We can take care of it all. We are all aware, that quality food makes a happy person. That is why we are committed to deliver only the best food on the market. Slovenia is known as the Green Pearl mostly because of its nature – that is why we are 100% sure, that you will love the 100% organic and bio food from our specially chosen suppliers. Since Slovenia can not compete when it comes to quantity – be sure we are the best, when it comes to quality. It’s no secret that Slovenia is a small country. It is actually so small, that you can travel from east to west in about 3 hours with a car. If you have a helicopter, you can see all the best spots in less time. In case you have your own helicopter onboard, we can help you with amazing itineraries and bookins at your planned stops. If you dont have one, we can organize a nice helicopter that will be there at your disposal. For transit flights and technical stops in Republic of Slovenia, no permits are required. General decleration and passanger manifest are not required. Airport fees are paid before departure at the counter. Payment can be made in cash (euro) or with credit cards Visa, American Express, Master Card, Activa, BA Maestro. Prices are informative. Last change 01.05.2014. You can check current prices on info@portoroz-airport.si. Prices are informative. You can check current prices on info@portoroz-airport.si. Fuel and lube is paid after fueling on the counter. Payment can be made in cash (euro) or with credit cards Visa, American Express, Master Card, Activa, BA Maestro, Magna Petrol. On Airport Portorož, no SLOT restrictions apply. 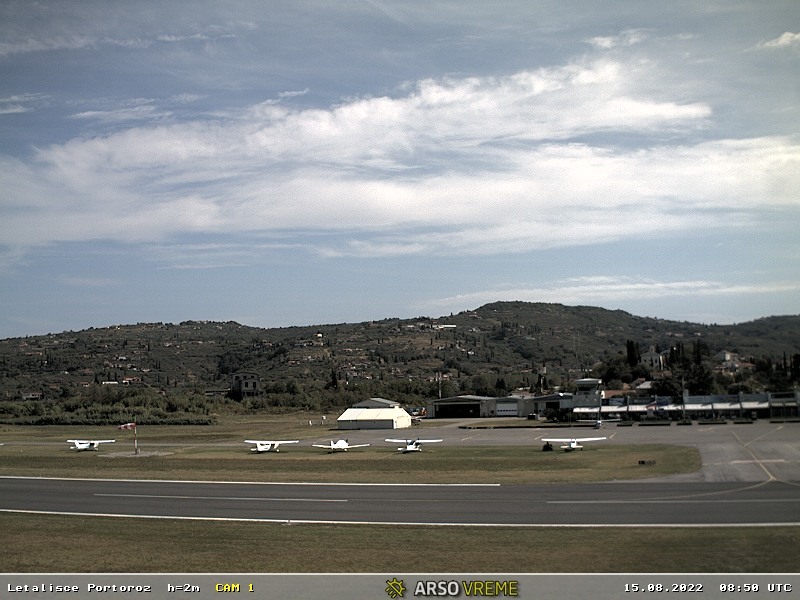 Current airport informations and flight procedures are available on the web page of Slovenia Control . For weather forecast, please call: +386 5 617 91 20 +386 5 617 91 20 . You want to come to Slovenia and you want to nominate an agent who will help you with all your needs? If its berth booking, ships documentation, customs clearance, VAT matters, crew replacement or anything else that you want to get sorted – we are there to help you. We have access and connections to get your vessel into the best berths in Slovenia. We hope that you will enjoy your stay in the beautiful land under the alps. We are sure you will be back soon.